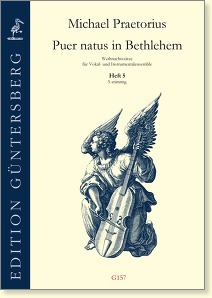 The settings by Praetorius have for a long time been a part of Christmas music-making. 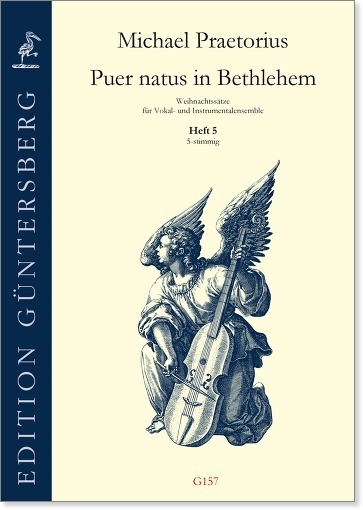 With a new comprehensive practical edition we would now like to warmly recommend this wonderful music to all interested singers and instrumentalists. This music was presumably mostly sung, and played colla parte. However, it is just as attractive when performed by voices alone, by instruments alone, or by a mixed vocal-instrumental ensemble. Moreover, the original voice ranges can be adapted to the needs and capabilities of the performers by means of octave transposition.